LG is well and truly back, and what a return it’s made with the new G7 ThinQ. We’ve been speculating whether this flagship’s going to live up to the hype since April, and now it’s actually here, we’re buzzing to announce that it’s exceeded our expectations. The LG G7 ThinQ’s design automatically draws you in. Its clean look and curved edges frame the bright LCD screen perfectly. Made from metal and glass, the phone feels natural in your hand. Moving onto the screen – your world just got a whole lot brighter. The LG G7 ThinQ boasts additional white pixels into the screen for a more vibrant, clearer picture on its huge 6.1-inch HD+ FullVision display. In fact, there’s 1,000 nits of brightness, making it the brightest phone on the market. And when they say FullVision, they’re not joking. The screen’s super easy to view in sunlight – so you can tune into those summer sporting events straight from the garden, completely glare-free. The LG G7 ThinQ comes with an AI CAM, which cleverly analyses subjects in your frame and then recommends one of 19 easy-to-follow scene categories to improve your shot. Meaning you’ll always get the best picture, guaranteed. AI camera aside, the 16MP dual camera super wide-angle lens lets you capture more of every scene, including large group shots or landscapes. Like your arty photos? With Portrait Mode you’ll take pictures that focus on the subject and blur the background for a stunning effect. Also, it doesn’t matter whether you’re on the sunniest beach or the darkest nightclub, the ThinQ’s low-light credentials makes everything look quality. If getting the best shot in the bag isn’t enough for you, the camera even works with voice AI. Simply say ‘Take a picture with AI cam’ and it captures whatever you’re shooting with optimal settings. You can even open panorama, expert and video mode using voice command. The LG G7 ThinQ’s ‘Boombox’ speaker will fill any room with premium-quality sound. If fact, it’s a mahoosive 17 times louder than the LG G6. How? It uses the whole phone as a sound box, delivering deep bass, crisp vocals and an overall richer sound – which is great come party time. Love watching films on your phone? Well, 7.1 channel surround sound delivers cinematic audio so you’ll be truly immersed during those loud blockbusters. What’s more, the ThinQ is powered by 4GB RAM to make everything run lightening-fast and seamlessly – even during the biggest multiplayer game play. Recommending the LG G7 ThinQ is a bit of a no-brainer. It’s jam-packed with premium features. The display’s big and bright, and the AI-powered camera shows massive advances in technology - as well as taking amazing wide-angle photos. And we’re just blown away by the ‘Boombox’ speaker, which is one of the loudest we’ve ever heard on a smartphone. 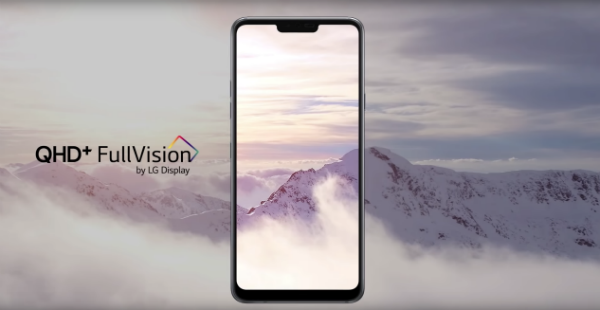 So, just who is the LG G7 ThinQ aimed at? It’s perfect for any flagship lover looking for next-level photography and immersive content. If you’re in the market for something that does everything you need, very very well, give the new LG some serious thought. You can buy the LG G7 ThinQ from Carphone Warehouse right now.